A lot of important races in the State of Texas were decided yesterday. I’m feeling sadness today. Not specifically because of several of races that I endorsed went to the opponent (although I confess that is some of it), but because of the low voter turnout. If you have never been to Arlington National Cemetary, I recommend you go. 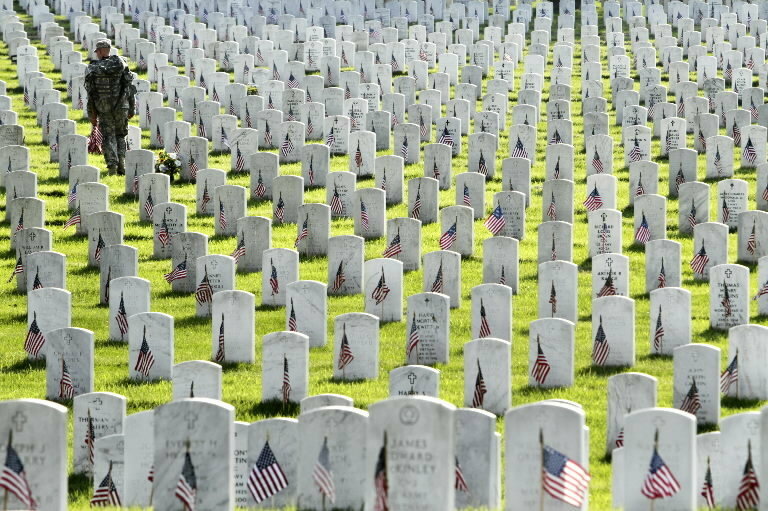 To stand at the top of one of the hills and look out at thousands of markers of those who gave all to secure our liberties is breathtaking and will surely bring a tear. We live in a country where our citizens are able to do what most of the world cannot – Vote for our representatives — for those who we feel will speak for us in Austin and Washington. Dan Patrick won the Republican nomination for Lt. Governor and faces Leticia Van de Putte in November. With a statewide turnout of 5.49% for Lt. Governor in Texas, where Patrick took 65.07% of votes cast, it is hardly the mandate he declared on Facebook last night. I don’t declare myself a math wizard, but I see that as getting 3.57% of Texas votes. I fear that the mandate truly given by the voters of Texas is that they don’t care. They don’t care enough to google several sources to learn about the candidates running and make their vote for the candidate that they are most closely aligned in their ideology. They don’t care enough to get to the polls during early voting (where they can vote at any polling location in their county) or on election day. 94.51% of Texas voters did not care enough to exercise their right (and DUTY) to vote. The Lt. Governor’s race had the most percentage of voters. What will it take to get Texans to take their right and duty to vote seriously? And what are you willing to do to get out the vote? I’ve heard it said numerous times that “as goes Texas, so goes the nation”. If that’s the case, then our descent from our Republic as our form of government is closer than I wanted to believe. This entry was posted in 2014 Election, Bill of Rights, David Dewhurst, Liberties, Lt Governor, Price of Freedom, Republican, Republican Party, Run-Off Election, Ryan Sitton, State Issues, TEA Party, Texas, Wayne Christian. Bookmark the permalink.